Av. Power used: 10.9kWh/d average. 9.4kWh summer and 13 kWh winter. Hot Water System: Electric. Estimated 5.6kWh/day. Food production: All annual vegetables, honey and eggs with 50% of fruit. Waking hours at home: 65% Adults work part-time and from home. Our property is the result of a much longed for home. We were living in Melbourne for some years (me working for Cultivating Community and Anton working for the Alternative Technology Assoc.) and realised we’d need to leave in order to be able to access more affordable land and live the type of life we wanted. We chose Tasmania as I’d (Hannah) lived there previously, it was significantly more affordable and it has a relatively clean environment with good water and air. We also wanted to live in/close to a city that wasn’t too big – Hobart fits this nicely. 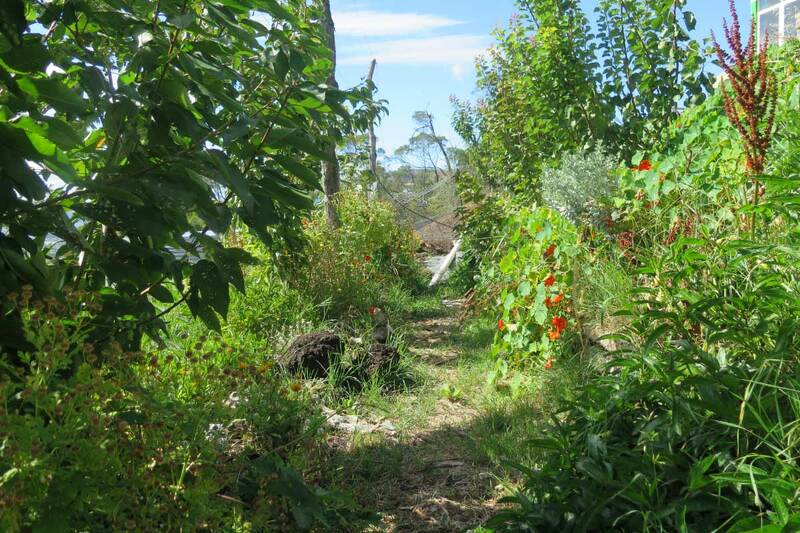 Anton got offered a job at Sustainable Living Tasmania (doing energy efficiency programs) and I took the opportunity to get Good Life Permaculture started. 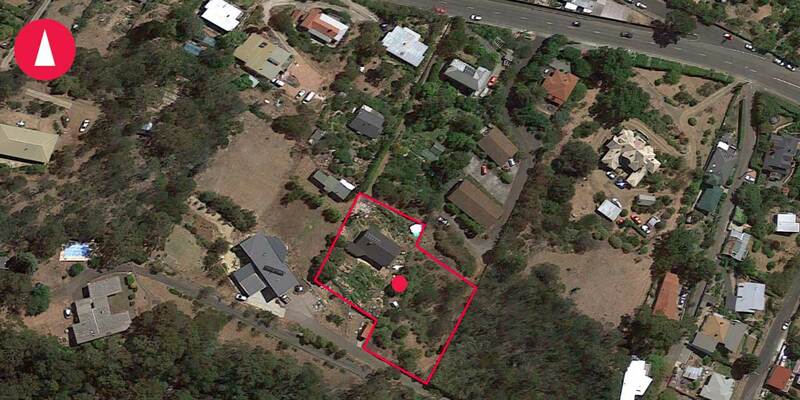 We bought this property in 2012 in the area where most of our community lived (South Hobart), close to town so we didn’t have to rely on the car for transport. The property didn’t have a driveway the only access was a steep 100m staircase from the road – this is the only reason we could afford to buy the house at that time. 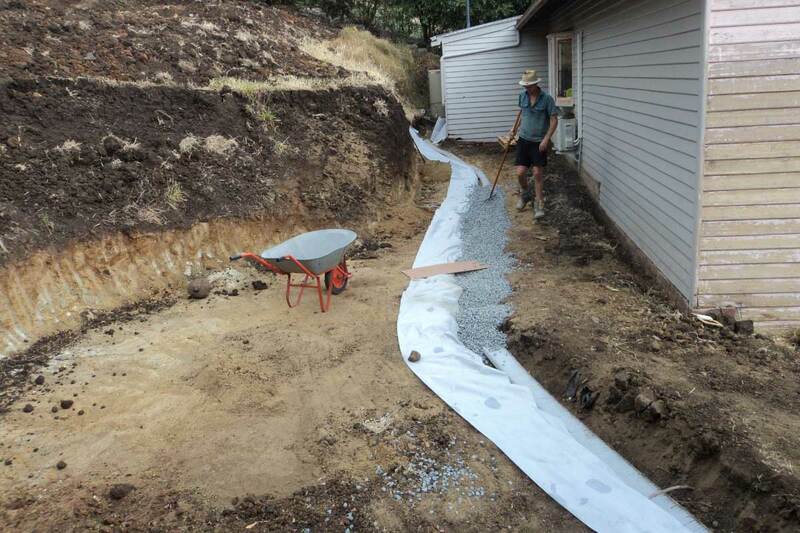 With the exception of building our driveway and earthworks for terracing, Anton and I have done all the work ourselves with occasional help from friends and family. 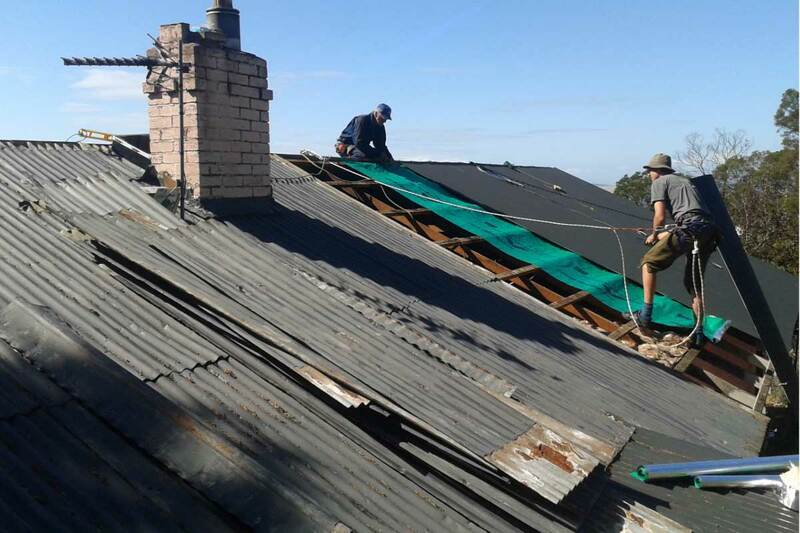 Re-roofing the house as it was old and painted with lead paint, now we can catch and use rain water for drinking and for the garden. Painting the house – again it was old and flaking lead paint everywhere. 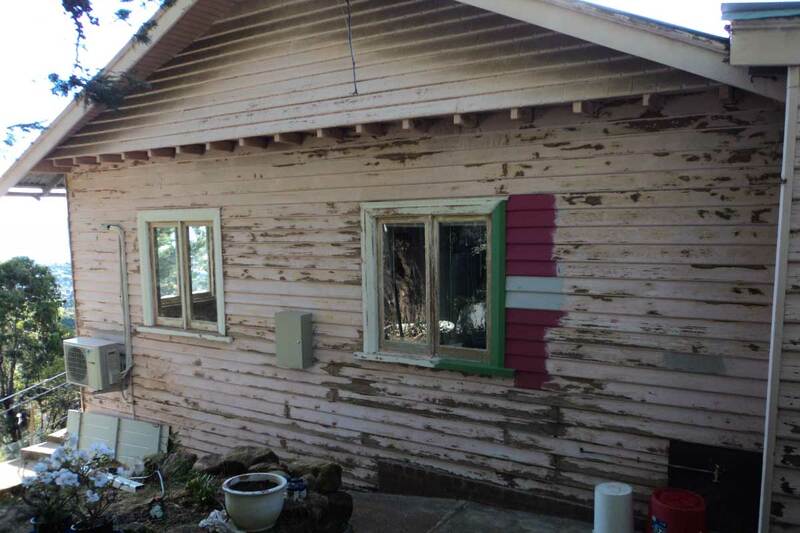 Painting it meant we eliminated the risk of further lead contamination in the soils directly around the house. Insulated the ceiling and floor. While the house has a large wood fire and two heat pumps, the previous owners hadn’t put once scrap of insulation in anywhere! FYI-When we arrived it was just all grass on a slope so steep that it was hard to walk across. Usually properties on the top of hills/ridges have very little top soil – this places is unusual in that is has top soil depths ranging from approximately .2m -.5m, this is great for our region. 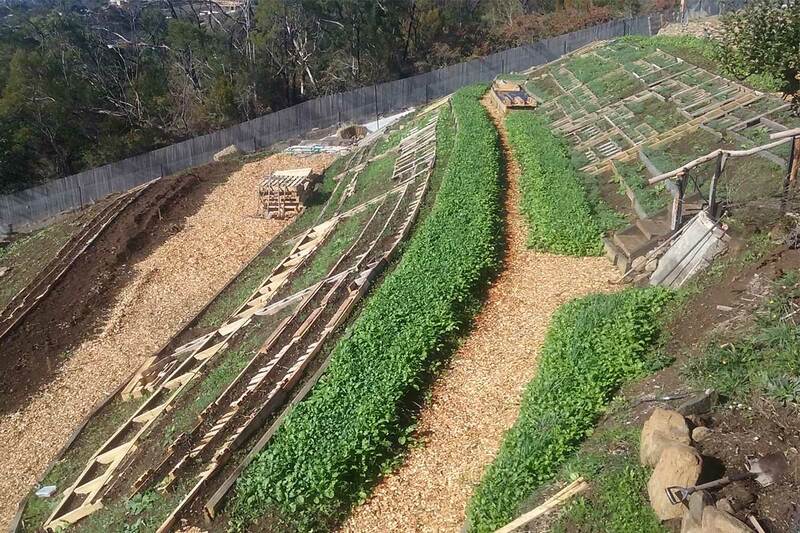 We very quickly terraced the steep landscape with an excavator so we could walk around easily, manage water passively and grow food. We experimented with a broad range of ways to retain the terraces including earthship walls, recycled bricks and more interestingly with plants – specifically using the pattern of edible forest gardens to stabilise large slopes. While it would have been more great to have lots of retaining walls at 90 degrees to increase the amount of flat space available – this was simply too expensive for us as it would have cost in excess of $30k just in materials. By using a range of approaches we slashed this costs to probably around $2000. Living on a steep slope. Without a doubt a steep slope makes everything take longer, things are harder to build or move around the site and it’s all more expensive. The upside of a slope (in our context) is we get amazing sun, a great microclimate to grow plants that don’t grow 2kms away (figs and oranges) and a killer view (which is NOT why we bought this place – but it is amazing). Tricky access for the first 4 years of living here. Tricky is an understatement! 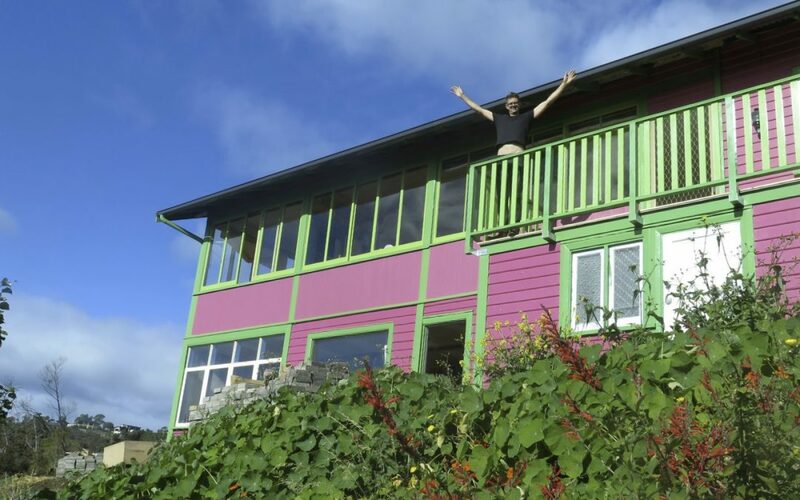 When we bought this place we were kid free and had both worked and travelled in developing countries where a 100m walk up a steep hill to get to your house is considered nothing/normal. But establishing a large garden with no access was hard, as it involved epics jobs like shovelling 20m³ of compost/woodchips over our neighbour’s fence, carting in sack loads of organic matter for various garden related jobs and carting building materials in by hand – it was a lot of physical work. Ultimately it was all fine, but it slowed us down significantly, if we had had access it would have happened more quickly, affordably and easily. When we had our daughter in early 2015, our mindset changed – we REALLY wanted easier access. So after a long process, we bought the neighbouring patch of land in late 2016 which came with a driveway that we completed building in March 2017. This has increased our land area to just under ¾ of an acre. We’ve recently terraced the new patch of land (in the same way as we did with our original block) and are in the process of integrating the two blocks. 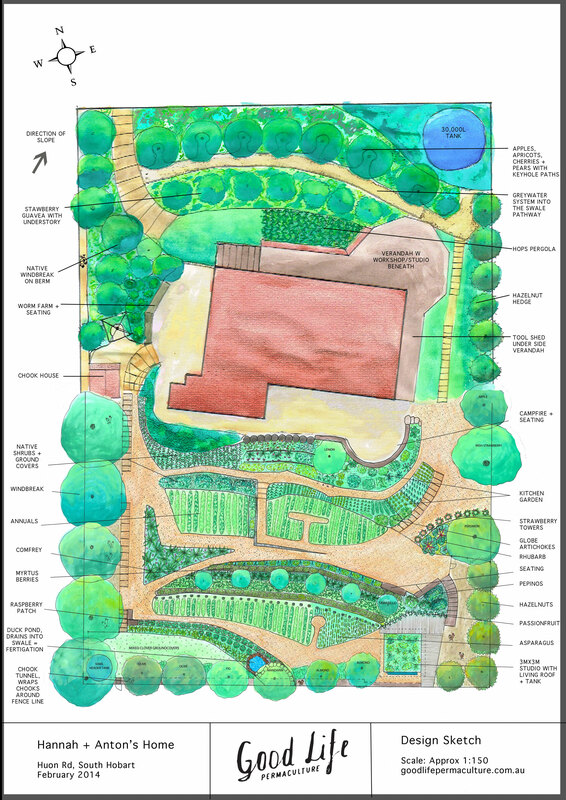 This includes moving our annual grow beds around to a more wind protected area. For this newer patch of land we’ve only built one retaining wall using the rocks that were found onsite. 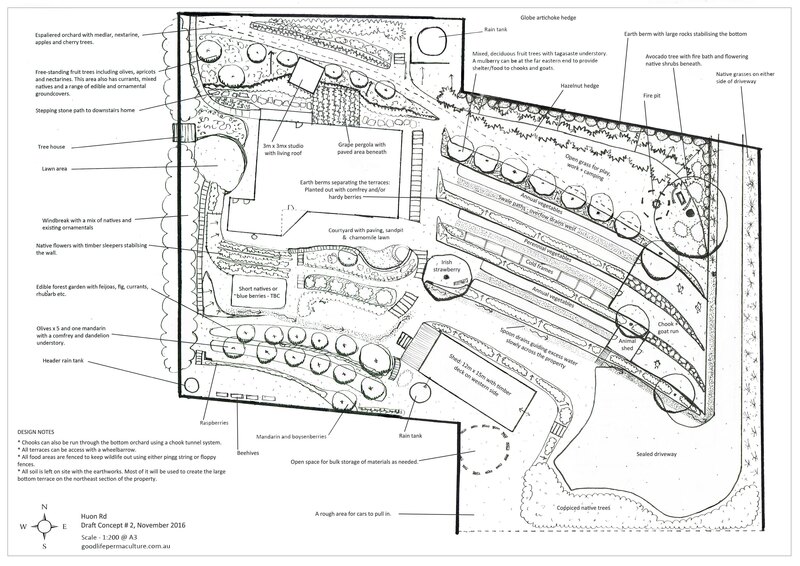 The rest of the terrace walls will be planted with edible forest gardens. This means we have a large productive area that will provide varied perennial fruit, nuts, berries, veggies and herbs while stabilising the slope. 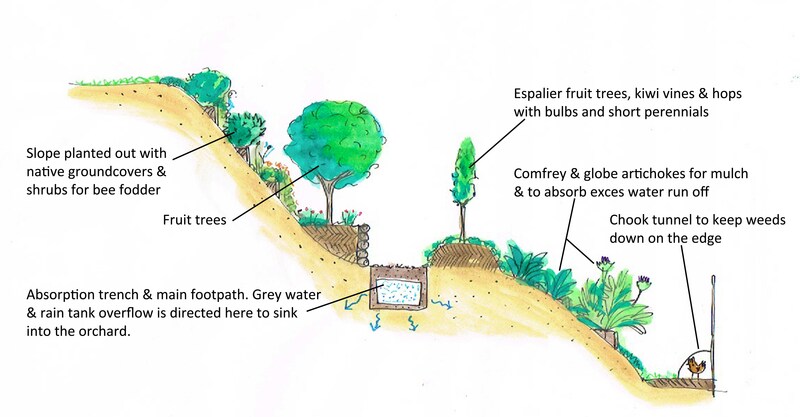 Our approach to terracing with earth berms doubling as edible forest gardens. 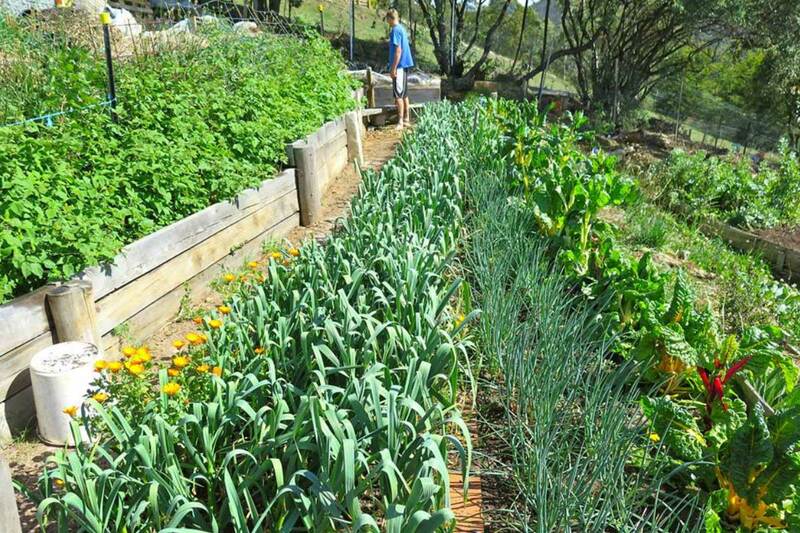 You can see the establishment phase here: http://goodlifepermaculture.com.au/edible-forest-gardening-food-forests/. Earthship retaining wall. 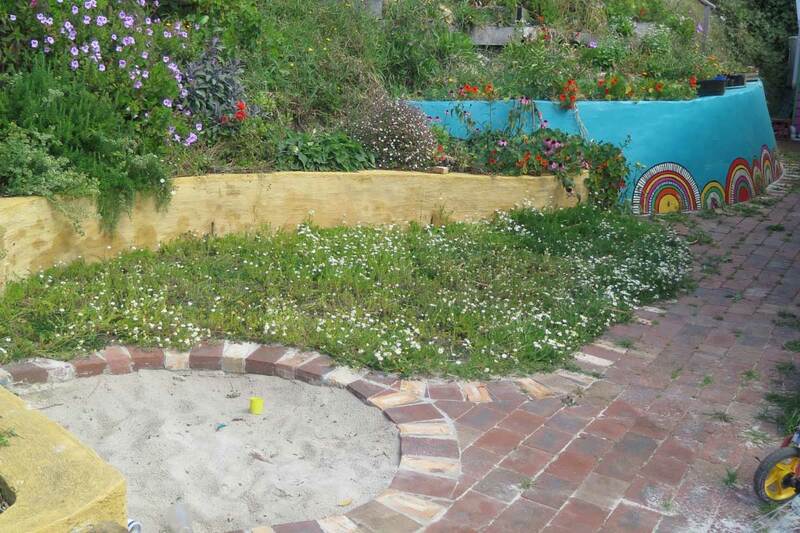 We wrote a blog about this that you can see here: http://goodlifepermaculture.com.au/our-earthship-retaining-wall/.